After completing the dyeing process from the dyeing m/c then the fabrics are ready for de-watering. In de-watering m/c tubular fabrics are mainly processed. There is a magnetic sensor which scene the twist of the fabric and its direction and turn the fabric in opposite direction to remove twist automatically. Here dewatering is performed De-watering is the process to remove the water from the fabric completely by squeezing and it is done by the padder. A suitable expander is used before the fabric is passed through the nip of the padders, which expands the fabric flat wise and adjust the width. The expander width is adjusted as S/J- 20%, PK-25%, Int.-35%, Lacoste-40% wider than the required width. There is a pair of rubber coated padder, where water is removed from fabric when passed through the nip of it. – Other for applying finishing chemicals such as softener. But this finishing is done only for the tubular fabric. Open widths knitted fabrics are applied finishing treatment later in stenter. Here present the compressor which given compress air to form ballooning before passing through the padder. This balloon remove crease mark but not form the maximum balloon otherwise shrinkage increase. In feed & Out feed traverses which present in albatros control the following functions by over feeding system. – To control the width (dia) of the fabric. – To control the spirality of the fabric. – To control the crease mark of the fabric. – To control the length of the fabric. – Speed: As much as possible (40-60 m/min). Higher the GSM lower the speed. – Over feed: As required. Higher the GSM higher the over feed. – Padder pressure: 3-7 bar as required. Higher the GSM lower the padder pressure. – Width: Fabric width is adjusted as per required width. N.B: Santex contains two baths. One for padder bath and another for softener bath where softener given 1 g/l . The softener bath capacity is 80 liters. – Single squeeze roller and single padder present. – One for squeezing and other for applying softener finished. – Maximum 60 inch diameter can be extended. – Proper balloon form by compressor air other wise crease mark appears. – Padder contract point adjust perfectly according to the fabric construction otherwise accurate water will not remove. – Albatros must be clean every one or two hours later. N.B : This Data’s are varied depending upon the Gray G.S.M and Finished G.S.M and also on the dia of the fabric. All this parameters are suitable for G.G.S.M range 140~160 to get Fin.G.S.M 170~185 without Lycra Fabric. All This data`s are practiced in mills which may varied factory to factory. – To dry the fabric. – To control the overfeed system. – To control the vibration which increase the G.S.M. This machine contains two chambers. Two mesh endless conveyors are placed lengthwise to the chamber named conveyor net and filter net, each chamber contain a burner, which supply hot air .This hot air is guided through the ducting line by suction fan .There are nozzles placed in between filter net and conveyor net. When the fabric pass on the conveyor net, hot air is supplied to the wet fabric to dry it. There are exhaust fan which such the wet air and deliver to the atmosphere through the ducting line. The speed of the dryer depends on the temperature of the m/c & the G.S.M of the fabric . If the m/c temp. Is high then m/c speed also high and the m/c temp. Is low then m/c speed also low. The vibration speed of the m/c for heavy fabric is 730 m/min and normal fabric is 480 m/min . Set the over feed up to 10~20% or as required to get finish G.S.M. – Steam dryer (two chambers). – Vibration occur in heating zone. – Process air pressure switch present. – Maximum temp. Increase up to 1700c. – Steam control switch present. – Two conveyor belts are present. N.B: For Polyamide: Temp range is 1100C~ 1150C.Speed range16~18; Overfeed range- 5%. This Data’s are varied depending upon the Gray G.S.M and Finished G.S.M and also on the dia of the fabric. All this parameters are suitable for G.G.S.M range 140~160 to get Fin.G.S.M 170~185 without Lycra Fabric. * If fabric is more Redder than the standard one, then reduce the temperature. * If fabric is more Yellower than the standard one, then increase the temperature. * If fabric is more Bluer than the standard one, then increase the temperature. All this data’s are practiced in mills which may vary factory to factory. The main object of compactor is to make the fabric surface smooth, to control the residual shrinkage, G.S.M and if required fabric width also. To control the residual shrinkage the fabric is previously shrinkage artificially by gathering of loops of knitted fabric and it is set by heat and pressure. In tube compactor, the dried tubular knitted fabric is face to steam when it passed through the teflon coated conveyor belt. When a cotton fabric absorbs water, it swells and shrinks (particularly in length direction) because the absorbed water allows the cellulose chains to move relative stain free position. Then the fabric is passed through the expander. This m/c contain two compaction units to compact both side of the tubular fabric. Each unit contains a hot rotating cylinder, blanket which rotate in contact with the cylinder and Teflon cover .while passing the expander roller, the fabric is over feeded. The fabric is compacted with the pressure of blanket and Teflon cover while passing through the hot cylinder .Due to compaction stitch length is reduced. Then the fabric is passed through the counting device .Before packing, the fabric is inspected carefully. -Over feed roller. – Steam sprayers. -Blanket (2) – Teflon covers. – Set the overfeed % as required; to increase GSM, overfeed need to increase to a certain limit. – Operating system is computerized. – Steam bar present which soften the fabric for compacting. – In compacting zone, edge & retard roller, compacting shoe and steel plates are present. – A pair of pulley present for fabric dia control. – Fabric G.S.M, shrinkage and dia control. * If fabric is less Reddish than the standard one, then increase the temperature, reduce steam. * If fabric is less Yellowish than the standard one, then increase the temperature, without steam. * If fabric is less Blueish than the standard one, then reduce the temperature, increase steam. Teflon speed (-) – Less compaction, G.S.M because overfeed is less. N.B: ® To remove twisting the tube fabric may be heat set before compacting. ® For Viscose with Lycra more overfeed required. All This data`s are practiced in mills which may varied factory to factory. Garment: The garment production processing steps and techniques involved in the manufacturing garments for the large scale of production in industrial basis for business purposes is called garments manufacturing technology. This is the Basic Production Flowchart of a Garment. In advance some of the process can be added or removed. On receipt of inquiry from customer 2 to 3 sets of garments as per customers instruction shall first be made in the sample section and then send to the customer for approval. If the customer rise any objection of the sample shall be mended accordingly or again fresh garments is made and send the same to the customer for their approval. The process shall be reputed until approval for sample. After approval of sample and receipt of confirm order from the customer required quantity of fabric and accessories shall be procured from agreed sources and stores in the warehouse of the company. Cutting in charge collect required quantity of fabric from the store department and layers of fabric from 50 to 200 (as per fabric type) shall be placed on the cutting table. After layer placing the fabric shall be marked as per measurement and buyer ratio and then cutting by cutter machine. The cut fabric shall be checked by quality inspectors then be distributor to the respective sewing operator and stitching shall be carried out as per customer manual. The stitched garments shall then be cleaned with the help of thread sucker as per customer’s requirement. After trimming, all stitching site of the garments shall be checked carefully for quality of stitching. Whether every aspect of the garments as per customer requirement is ok or not shall be checked carefully. After cleaning as per buyer’s requirement, the garments shall then be ironed in the ironing section. As per customer requirements every aspect of the garments shall be checked. As per requirements necessary sticker shall be attached to the garments. Poly packing: As per customer instruction the garments shall be packed in polyethylene bag. As per customer work order sheet the garments shall be checked in export cartoons. Delivery: As per customers shipment schedule the garments shall be ship. This is the first step of exporting. Here, the Buyer asking for price, capacity and lead-time. The costing is made based on Tech-Pack sent by Buyer. BOM (Bill of Material) Sheet: Contain Accessories & Packing Type. Packing Detail: Contain package type, No of material in one package etc. Hang Tag & Label Placement Details. The Buyer may send a sample instead of Tech-pack. The price may fix after negotiation with manufacturer. The lead time (Time to complete an order) and production capacity also considered for order confirmation. After fixing the price, quantity and lead-time the buyer then send a confirmation order letter via email. This document only ensures the order is given to committed producer if terms & conditions are fulfilled. P.O stands for Purchase Order. It is a Purchase document without Terms & Condition. It is the guarantee of payment to the producer from buyer with terms & condition. The most secured process of payment making. Buyers Bank and Producers Bank both handles the L/C. It is open for large volume of goods. After calculating Raw material & Accessories demand producer need to book them in respected countries such as china. a) Fit Sample: Made with available Trims & Fabrics. It requires when Buyer need to check the ability of manufacturer to produce the garment. Measurement is the key factor of this sample because it is approved through inspecting by wearing a Dummy. b) P.P (Pre Production) Sample: It is made with required fabric & trims Size and shape also maintain hardly. Without approval this sample by Buyer the Production cant is run. A swatch Card/Board also need to send which contain fabric sample, Trim sample. d) Garment Test Sample: This sample is sent to Multinational Testing Firm for testing. Generally buyer fixes the testing firm. e) Shipment Sample: Before shipment the Buyers QC (Quality Controller) test the garment by random choosing from the cartons. If every sample overcomes the tests the garments get permission for shipping to the buyer. This meeting is essential before production. Generally the Merchandiser, the Production Manager, Cutting Master, Pattern Master and QC (From factory and Buyer) are present in PP meeting. Everybody present the problems and aspects of the production and information related to the order. Merchandiser or respected person will solve or take steps to solve the problems. Here marker is designed through CAD software with less amount of fabric wasting. Then the fabric is spread considering same color in one Batch .The challenge of cutting Master is to cut the fabric separately according to shade variation. The cut parts of garment then sewn in different sewing line. 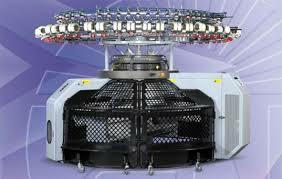 Every line prepares a single part of garments, and by moving these parts the final garments can be obtained. More floor space required for more production. Daily production report must be submitted to Merchandiser/PM for maintaining production according to the delivery date. The finishing and packing is done. Its very important inspection for garments to increase profit. In every production line one QC is required for checking the garments are sewn properly or not, the measurements are accurate or not. If any problem found the QC then send to the responsible operator to modify the faulty garment. Before shipment the producer need to invite the buyer’s QC for final inspection. At least 7 days before the invitation must be sent. The buyer’s QC the check the garments from the lot of cartons. He the choose number of cartons randomly then unpack. He may check 5-10 or more samples of garments and verify. If any problem found he then inform the buyer and buyer will take any decision. If everything is all right he will approve and the goods the ready for shipment. Multinational Testing/ Inspection/ auditing firm is renowned firm all over the world. The test garments sample in different category and then publish a KPI (Key Performance Index). After proper testing and if all parameter fulfilled the requirement they submit an IC (Inspection Certificate) to the Producer. They are the firms who transport the bulk goods to desired country by ship. They receive the IC from the producer and submit a Bill of lading. Water is supplied in different sections continuously by using submersible and centrifugal pumps. Boiler is mainly used to produce and deliver steam to different section as required. In Alim Knit BD Ltd two boilers are used to produce and deliver steam to different section. Compressor is mainly used to deliver compressed air to different section as required. In Alim Knit BD Ltd three compressors are used to produce and deliver compressed air to different section. Water for a textile plant may come from various sources. But this water can not be used directly in textile processing because it contains various salts. These salts are mainly the carbonates (CO32-), Hydrogen carbonates or bi-carbonates (HCO3–), Sulphates (SO42-) and Chlorides (Cl–) of Calcium (Ca2+), and Magnesium (Mg2+). These are called hardness in the water. These must be removed though water treatment plant. Different waste water from varies process is stored and makes a homogeneous mixture by mixing different concentration of waste water. Of waste water PH range 6.5 to 7.5. It distributes the water to the biological oxidation tank. Continuous aeration is supplied here. Antifoam is dosed here to control the foaming in the oxidation tank. It is the heat of E T P. The entire harmful chemicals are damaged here by breaking their bonds. This is done by bacteria. To ensure the proper function work and growth of bacteria, few conditions must be maintained. Treated water is overflowed here from oxidation tank. Decolourent is used here to destroy the color of waste water. A tank or basin in which waste water is held for a period of time, during which the heavier solids settle to the bottom and the lighter material will floats to the water surface. In this tank sludge is immersed and the harmless water is discharge to ponds, Land, river etc. Polyelectrolyte dosing aeration is stopped and fresh water discharge to drain when sludge is taken. The thickened sludge is transferred to the sludge thickener bed. Here sludge is dried which is used as good fertilizer as well as fuel of brick field. Sludge is dried under the sunlight. So, it is important to control ETP plan. There is a diesel Generator in the industry. There are two air compressors for producing compressed air. Steam is produce by Boiler. From the Water Treatment Plant, water is stored in a reserve tank and from there water goes to boiler & steam is produced. The source of Gas is TITAS GAS LTD. The gas is supplied to gas generator or different section (Boiler- for heating water) from the main line of the TITAS GAS LTD.
Gas : TITAS GAS LTD. The utility systems of Mondol Knit Tex Ltd are great. There is a skilled manpower group of engineers and other technical staffs to look after these utility services. They have to remain aware of solution on a great sense of responsibility for any type of problem due to utility supply. The act which is done to Keep the factory plan equipments machine tools etc. in an optimum working condition, minimize the break down of m/c’s to improve Productivity of existing m/c tools and avoid sinking of additional capacity and to Prolong the useful life of the factory plant & machinery is called Maintenance. To Keep the factory Plants, equipments, Machine tools in an optimum working condition. In Mondol Knit Tex Ltd. the Preventive Maintenance is a predetermined routine activity to ensure on tome inspection or checking of facilities to uncover conditions that may lead to Production break downs or harmful depreciation. In Mondol Knit Tex Ltd follow the above two types Maintenance. Remarks: When I was trainee of Alim Knit BD Ltd then I saw that the Maintenance staffs and overhead of Maintenance department were skilled enough and Efficient. There is large difference between the theoretical knowledge and practical experiences. This is truer in case of the study of Textile Engineering. Industrial attachment or, Industrial training is an essential part for textile education because it minimizes the gap between theoretical and practical knowledge. This Industrial training increases our thought a lot about textile technology. It also helps us to know a lot about industrial production process, machineries, and industrial management and made us suitable for industrial life. Besides it gives us the first opportunity to work in industry. So we can say industrial attachment prepare us for the expected destiny of practical life. I have completed my industrial attachment from Mondol Knit Tex Ltd. During my two-month long industrial training at Mondol Knit Tex Ltd I got the impression that this factory is one of the modern export oriented dyeing knit garments industry of our country. This factory does not compromise in case of quality. So, they have established on-line and off-line quality control of each product. Besides, they also use the good quality yarn, dyes and chemicals in their production process. Due to this, it has earned a “very good reputation” in foreign market for its quality product over many other export oriented textile mills. It has very well educated and technically experienced manpower to get rid of any defect in production process. It has also a good organizational hierarchy.